Live sound engineer Verlaine Lévy chose DPA microphones because they delivered a compelling combination of power and clarity. 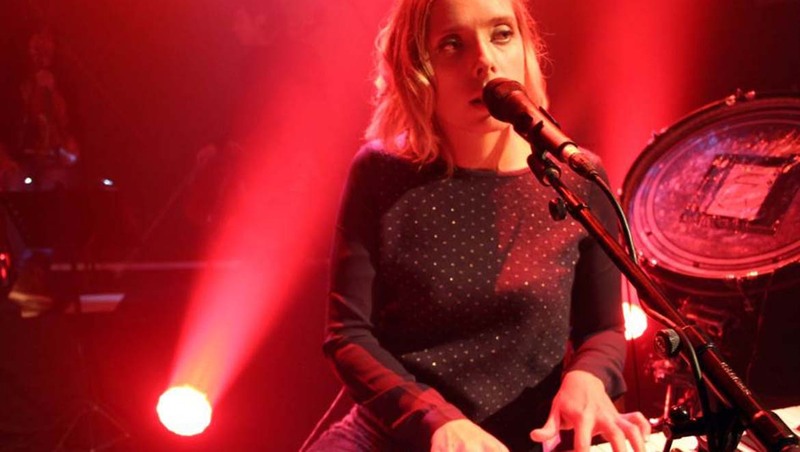 Live sound engineer Verlaine Lévy used to think that DPA microphones were only suited to classical music and never imagined that they were also great for pop rock tours. But since using a selection of DPA mics on the current Cats On Trees tour, Lévy is the first to admit that his initial perception was entirely wrong. "When DPA's French distributor Audio² gave me the opportunity to try the company's microphones with Cats On Trees, I was happy to accept the challenge," Lévy says. "It didn't take long to dicover that these great microphones have beefy pickups and are perfectly suited to rock and pop acts. We're now using three d:facto™ Vocal Microphones, as well as a d:dicate™ ST2011C Stereo Pair with 2011C Compact Cardioids and a number of d:vote™ 4099 Instrument Microphones for drums and violins." Lévy, who began his career with French sound company Audio-Lum, started working as a live sound engineer in 2001 and has toured with the likes of Sidilarsen, Claude Sicre, Bombs 2 Bal, Zebda, Magyd Cherfi and Mouss and Hakim. He is also building a strong reputation as a recording engineer, having been asked by a number of artists to assist with studio sessions. 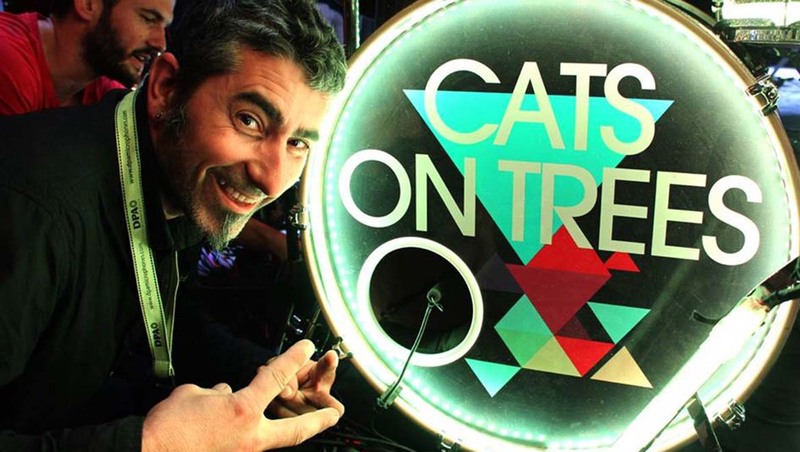 Cats On Trees, a French musical duo consisting of Nina Goern and Yohan Hennequin, specialise in ambient indie pop and have released one self-titled album and a number of singles including Sirens Call, which reached No. 3 in the French charts in 2013. The band is now half way through a European tour that will see them play nearly 200 dates in various countries including France, Germany, England and Spain. "The tour is awesome and they are playing to virtually full houses every time," Lévy says. "Since September they have been performing with a string quartet, but because we have such a busy touring schedule there hasn't been much time for residency work or to prepare the mix. Therefore the show is being built as we go along." Lévy runs the Front of House sound, the mix for the In Ear Monitors and the shipment of sequences since he mixes upstream. "With the help of our lighting person, we have set up a network between sound, light and stage," he explains. "Yohan controls the lights and video via a MIDI controller, but I am the master of the Mac, which manages the sequences and the network. Feeling comfortable is of ultimate importance to the artist so I try hard to achieve that, but with this duo it is very difficult to create a show that is the same every time because they are constantly changing things." 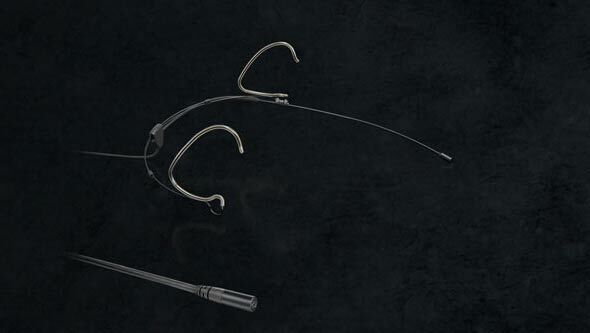 The progressive evolution of the show was a key reason why Lévy decided to switch to DPA microphones. 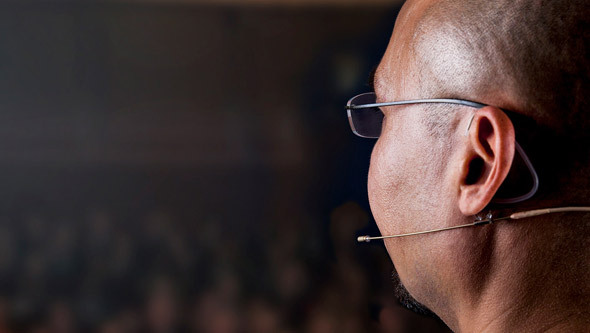 He had previously used DPA omnidirectional microphones to record voice ensembles and orchestras in churches, therefore he knew of their ability to faithfully recreate the acoustics of a venue. After speaking to Audio², he was able to try out various combinations until he found the microphones that worked for him. "I had a very clear idea of how each instrument should sound," he explains. 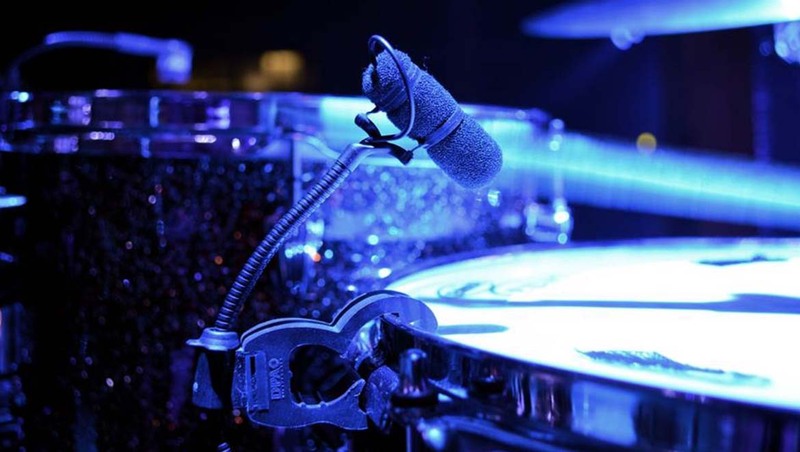 "I wanted to bring a lot of omnidirectional microphones on tour so that I could capture the natural colour of the instruments, but given the on-stage proximity of the drums and piano, this was not possible. 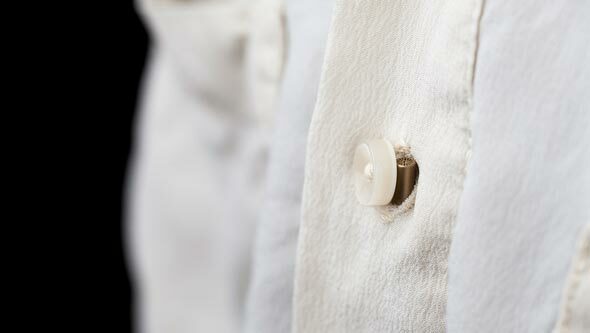 As it stands, only the ambient microphones are omnidirectional." Lévy eventually opted for DPA d:vote™ 4099 Instrument Microphones for the drum kit and was immediately impressed by the sound, which he describes as 'very powerful and very natural'. "These microphones really pick up extreme levels - they are great," he says. "We now have DPA d:vote™ 4099s on the bass drum, snare, toms and violin. I even had them as under-cymbals this summer. I am most impressed with the way they capture the sound of the bass drum. I position the mic at the entrance of the drum and slightly inside it. Although the capsule is very small, it still delivers the most amazingly deep, accurate bass." Lévy is also using DPA d:facto™ Vocal Microphones, which have solved the feedback issues he was having with other mics. The band has three on stage – one for Yohan on drums and two for Nina as she sings in two different locations. For Yohan, the issue was his drum kit," Lévy says. "I was afraid his vocal mic would pick up a lot of extraneous sounds but in fact what I achieved with d:facto was a clarity to his voice that no other mic would have given me. I just had to think carefully about the positioning of his microphone to avoid rear rejection. Furthermore, the d:faco has a very high gain and its gain before feedback is incomparable." "As for Nina, well to be honest it was Nina who chose d:facto™ – not me. We'd tried a number of different mics but it was d:facto that she really liked. I never impose a microphone on a singer and I even made her do a blind test because I wanted to be sure she was 100% comfortable with the way her voice sounded. She immediately noticed the difference and now doesn't want to sing with any other microphone." The fact that DPA microphones deliver a very precise sound has given Lévy' mixes more accuracy and finesse. They have also made everyone more demanding when it comes to sound quality, especially when it comes to tuning drum kits. "For me, the DPA microphones can be summarized in two words: natural and punchy," Lévy says. "What's more they are very rugged. I've broken three microphones so far on this tour, but not a single one of them has been a DPA."